A fashion blogger's dream is to own a wardrobe overflowing with endless options of clothes, shoes, bags and accessories. And when it comes to storage, there's no denying that every fashion blogger dreams of a walk-in closet where she can neatly organize and display all of her valued clothing. If you own a house and have a room to spare, you don't need to invest much to get yourself your dream closet. You should check out closet floor plans, designs and photographs of walk-in closets online to find inspiration and then consult a carpenter or interior designer to help you with the kind of material, structure and exact design that would work for your house/room. The ultimate purpose of a walk-in closet is to simplify your dressing process so once you're closet is ready, you need to sort each and every item and place each article of clothing into different sections according to their usage. Allocate a specific area for your casual clothes, one for your work/business clothes, one for your party/evening wear, one for your holiday/ resort wear and the last (and concealed) for your winter wear. This system makes it easy to decipher where each item is whenever you need it. When you walk into your closet, you want to be able to see where every shoe, accessory and item of clothing is. No matter what design you choose, you can easily customize the shelves, racks and compartments to follow your lifestyle. Shoes can often be one of the greatest causes of closet clutter. If you don't want a vertical wall rack for your shoes like the one above, you can display your collection along horizontal shelves like the closet below. This adds a boutique look to your walk-in and keeps your shoes in good shape. If you choose a placement for shoes according to the season or occasion, keep a designated spot for everything from wedges to flats to boots. Built-in wooden cabinets and drawers give you space to tuck away shoes and accessories that you don't wear often. Clear shelves and compartments are a convenient and time saving solution to make your morning routine simpler as you can keep everything close at hand and easy to find. You can stack these clear boxes on the floor and on shelves for a budget-friendly organized system. I hope these tips help you build your dream walk-in closet! How I wish I had the space to make my own! What would life be without the walk-in closet? I don't know. I was creating my dream closet not long time ago, great feeling! Great tips girl! Those closets look absolutely gorgeous! 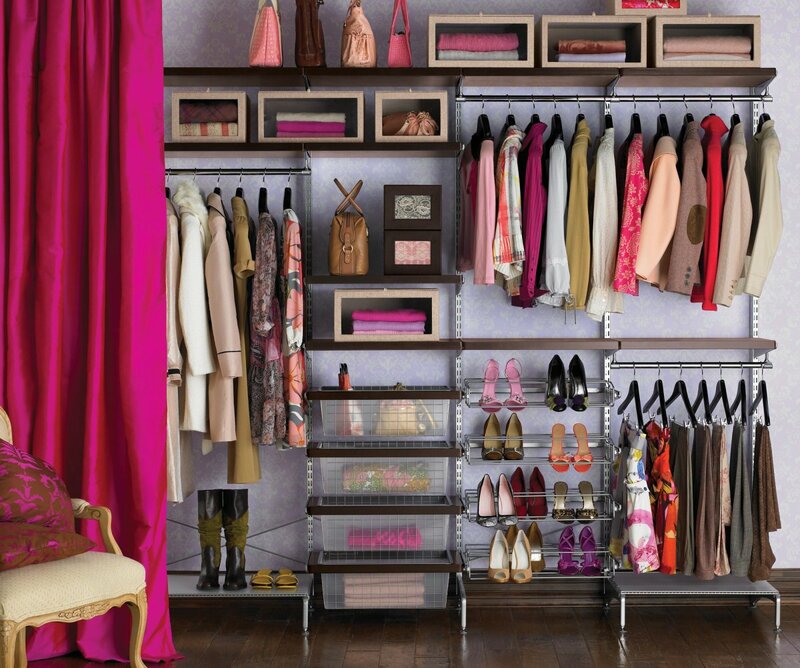 OMG I dream of a closet like this!!! Ohh those closets are a dream!!! I will take note from your tips! Those closets are a dream! Oh I want a walkin closet! Gosh, I would love to have a walk in closet! Oh my God this post is too interesting...lovely pictures! Great post and lovely pictures. Looks like you really did had fun! Fabs! I love the wardrobe inspiration! :) I used to have a walk in wardrobe room but we turned it into a nursery, haha!